After a summer of BBQ and fresh cooling salads, I think we’re all starting to crave the warm comfort foods of the Autumn season: soups & stews, hearty breads and earthy squash. At this time of year in Southern Ontario many different varieties of squash are in season and overflowing at the grocery stores and farmers markets. There are so many different types of squash available and so many different ways to prepare them. Acorn squash is best when roasted and finished with a touch of butter, and sprinkled with cinnamon and coconut palm sugar. Spaghetti squash makes for an awesome low calorie substitute in your favourite pasta dish. Simply cook it in the oven, and pull the “spaghetti” strands after it’s done cooking. I like to to add an organic marinara sauce and feta cheese. Butternut squash is so versatile. Have it savoury in a fresh pasta dish with butter, nutty pecorino cheese & sage, add it to a pot of chilli or take advantage of its natural sweetness and use it in place of pumpkin in a festive pie. Delicata squash is creamy, and makes for the perfect healthy pasta sauce. Simply roast it, blend it, and add some nutritional yeast & almond milk. 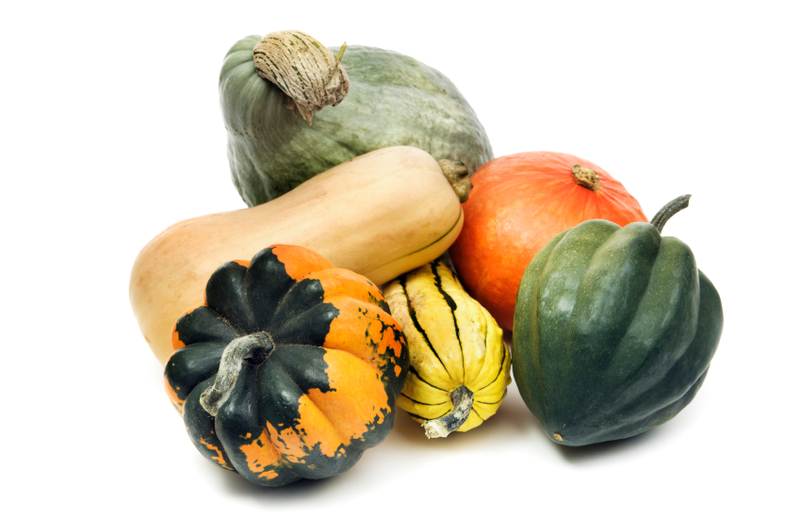 Not only is squash delicious and versatile; it has so many health benefits. It’s high in fibre, and considered a complex carbohydrate. Complex carbs are a healthy choice because unlike simple carbs (ie. refined white carbs), the sugars are absorbed slowly into the bloodstream; providing your body with energy for a longer period of time. The bright yellow and orange colour of squash means it’s high in beta-carotene, which your body converts into vitamin A or retinol. Vitamin A is important for the health of our eyes and keeps our skin looking youthful. Make a trip to your local farmer’s market this weekend, pick up a few different types of squash, and embrace the cooler weather & amazing bounty of the autumn season in Canada! Lauren Follett is a Registered Nutritionist who doesn’t believe in diets or quick fixes. She works closely with her clients to teach & motivate them to make healthy choices, discuss healthy living strategies and create customized nutrition programs that fit with their life. Learn more about Lauren & her nutrition services at: www.laurenfollett.com.